How Do You Make Salt and Vinegar Popcorn? To make salt and vinegar popcorn, you need 1/4 cup olive oil, 6 tablespoons of popcorn kernels, 4 tablespoons of butter, 4 teaspoons of salt and 1 1/2 tablespoons of vinegar powder. Cook the popcorn on the stove over medium heat. 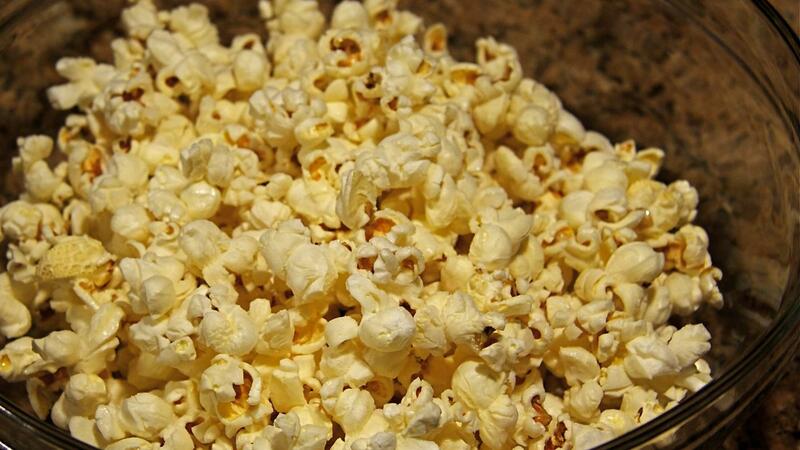 Top the popcorn with melted butter, salt and vinegar powder in a bowl. From start to finish, it should take less than 20 minutes to create this recipe at home. Put 1/4 cup olive oil and 6 tablespoons of popcorn kernels into a large pot. Cover the pot with a lid, and place the pot on a burner set to medium heat. Consistently move the pot in a side to side motion to ensure that the popcorn cooks thoroughly and does not burn. Continue this cooking process until there is a 3 to 4 second gap between pops. Pour the popcorn into a bowl. Using a small pan, heat 4 tablespoons of butter until the butter is completely melted. Mix 1 1/2 tablespoons of vinegar powder and 4 teaspoons of salt in a bowl. Pour the butter over the popcorn. Shake the vinegar and salt mixture evenly over the popcorn until the popcorn is completely covered, and serve. What Is a Basic Cookie Dough Recipe? What Is a Beef Gravy Recipe? What Is a Chili Sauce Recipe That Is Easy to Make? What Are Some Eggplant Parmesan Recipes? How Much Vinegar Is Needed to Clean Coins? What Is a Good Recipe for Dumplings?